Alcohol is contributes to more than 12,000 cases of cancer each year in Britain, and can happen in other countries too, but nobody had shown why it was so harmful. Experts and charities described the findings, which were reported in the journal Nature, as ‘very important’ and urged people to drink less. To find out how alcohol damages the body, scientists gave diluted alcohol to mice then sequenced their DNA and analysed their chromosomes. They discovered that drinking causes genetic breaks which rearrange chromosomes, and alter the DNA blueprint which keeps the body healthy. Professor Ketan Patel, lead author of the study and said: “Some cancers develop due to DNA damage in stem cells. 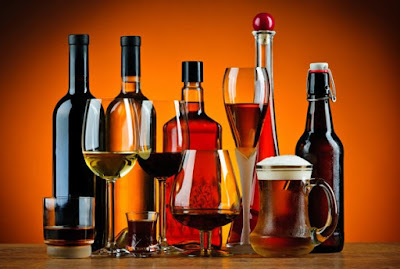 The study also found that some people carry genetic mutations in two genes - aldh2 and Fancd2 - which make them even more susceptible to the effects of alcohol, making drinking far more dangerous.